Often dubbed “the world’s favorite monkey,” Curious George is a lovable troublemaker whose stories of mischief filled our childhoods. Ema Ryan Yamazaki. Photo by Adam Gundersheimer. 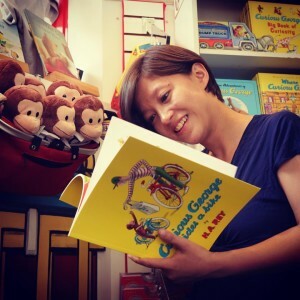 New York-based Japanese English documentary filmmaker and video editor Ema Ryan Yamazaki was enchanted by Curious George’s series of books while growing up in Japan, but she was also curious about his creators, Margaret and Hans Augusto Rey. Yamazaki spent the past two years researching the lives of the Reys, German-born Jews who fled Paris on homemade bicycles to escape Nazi persecution during World War II. Their real-life adventures in Paris, New York, and Brazil fueled the stories of Curious George and the Man in the Yellow Hat. 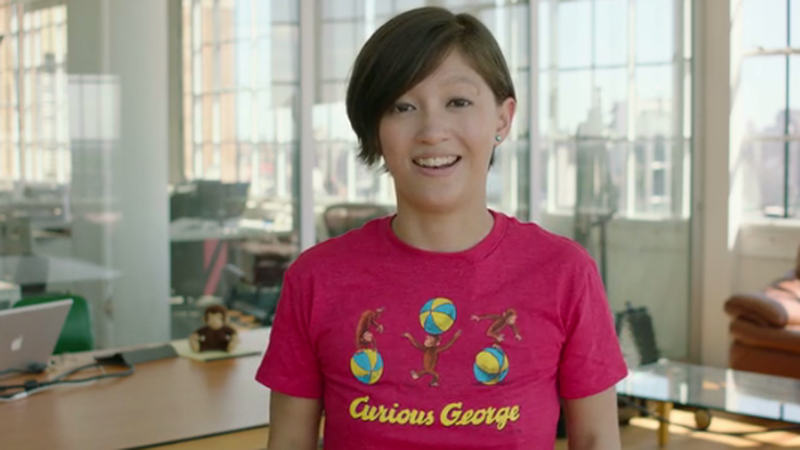 Yamazaki and her team have created the framework for Monkey Business: The Story of George’s Curious Creators (working title), a documentary that contains interviews, archives from the Rey Estate, and original animation. The production team – lead animator Jacob Kafka, executive producer Marc Levin, and a technical crew Yamazaki befriended while studying at the NYU Tisch School of the Arts – has created a Kickstarter campaign to raise a portion of the necessary funding to complete the project. The story of the documentary is generating a buzz among news outlets such as The New York Times and People Magazine. The campaign ends on Wednesday, August 24 at 6:00 p.m. If you’re curious about Curious George’s creators, please consider backing Yamazaki’s documentary!